James Donaldson (J.D.) Kelley, 85, of 480 Auburn Road, Waynesville, NC died peacefully Tuesday afternoon at Memorial Mission Hospital in Asheville, NC after a brief illness. A native and lifelong resident of Haywood County, he was the son of the late David Donaldson Kelley and Mary Emma Gordon Kelley. He was also preceded in death by a son, Richard Dale Kelley in 2009. He was born on Christmas Day 1926 and was a 1945 graduate of Waynesville Township High School and a World War II veteran. 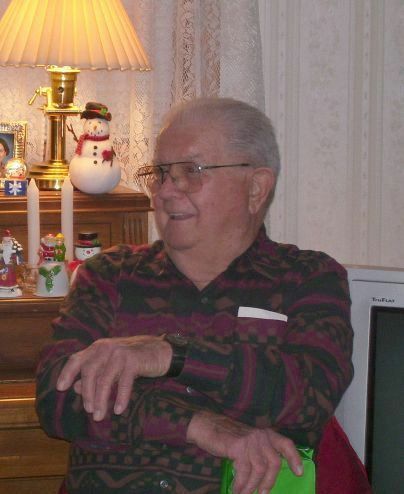 He served in the US Army from June 1945 to February 1947 during which time he was stationed in Italy. He received the World War II Victory Medal and the Army of Occupation Medal. After his military service he was employed by Dixie Homes Stores in Waynesville as a butcher and later store manager. 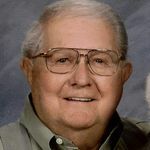 In 1953 he began a 38-year career with the North Carolina Department of Agriculture where he served as a poultry inspector for the NCDA Poultry Division until his retirement in 1992. 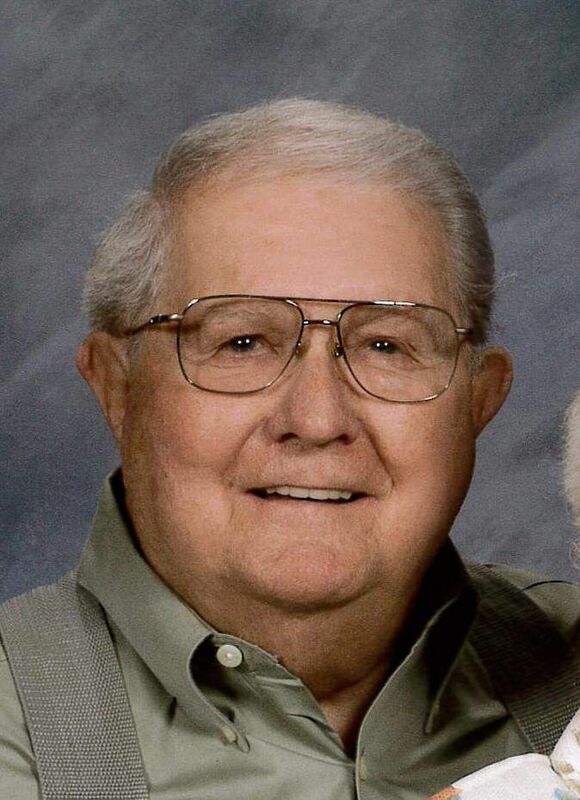 He had been a member of First Baptist Church in Waynesville since his baptism in 1941 and was a former deacon and Sunday school teacher. In addition to his professional career, he was a skilled mechanic and musician. 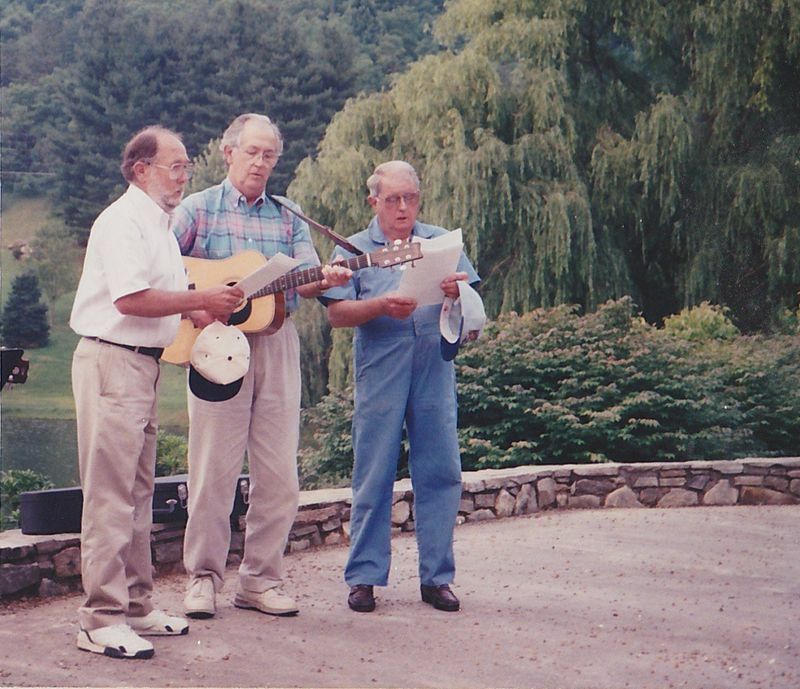 He was an original member of the Blue Valley Boys bluegrass band which won the Saturday Night roundup competition in the late 1930s and 1940s and which in more recent years played intermittently at gatherings around Haywood County. On August 28, 1948 he married Allie Mae Abercrombie in Pickens, South Carolina and began his 63-year romance with the love of his life. He enjoyed camping, playing and listening to blue grass music, eating breakfast with his friends at local restaurants and visiting friends and family. He was deeply devoted to his beloved family and was a remarkable husband, father and grandfather. Always with a smile, a kind word and a quick humor, he was a friend to all who knew him. He is survived by his beloved wife Allie Mae Abercrombie Kelley, his children Reba Miller (Ron) of Raleigh, NC, James Donaldson "Don" Kelley, Jr. of Akron, OH and Dr. William Terry Kelley (Christine) of Waynesville, his grandchildren Amy Miller Cave (Mike) of Raleigh, William "Will" David Miller (Julie) of Lincolnwood, IL, James Richard "Jim" Kelley of Carrollton, GA and Crystal Leigh Kelley of Mirimar Beach, FL, his great-grandchildren, Logan and Ayden Cave of Raleigh, Tate, Quinn and Leo Miller of Lincolnwood, IL Christopher Kelley of Villa Rica, GA and Tristen Kelley of LaGrange, GA. He is also survived by two brothers and sisters-in-law, Joe and Kay Kelley and Jack and Vivian Kelley of Waynesville, sisters-in-law Virginia Kuykendall and Betty Abercrombie of Hendersonville, Winifred Abercrombie of Seneca, SC and a brother-in-law James Lewis of Florence, SC, nephews Ed Kelley of Waynesville, Phil Kelley of Mars Hill, Harrison Abercrombie of Walhalla, SC, John Abercrombie of Conway, SC, Edward Abercrombie of Madison, TN, nieces Mary Jo Reece of Canton, Shirley Franklin of Morganton, Emily Nelson of Waynesville, and Ginger Waters of Inman, SC as well as several great nephews and nieces. The family will receive friends Friday evening from 6:00 to 8:30 pm at Garrett Funerals and Cremations of Waynesville. At other times friends may call on the family at the residence. Services will be held at 2 pm Saturday at the funeral home chapel with Drs. Robert Prince and Richard Maples officiating. Burial will immediately follow at Green Hill Cemetery in Waynesville where he will be laid to rest with full military honors. Pallbearers will be Mike Franklin, Butch Franklin, Ed Kelley, Phil Kelley, Harrison Abercrombie, John Abercrombie, Edward Abercrombie, and Shannon Rhinehart. Honorary pallbearers will include John Rhinehart, Charles Wallace, Hayes Crisp, Johnny Rogers, Bruce Briggs, Duke James, Steve Davis, Mackie McKay, Charlie Rogers, David Justice, Mac Smith, and his other breakfast friends. In lieu of flowers donations may be made to the Open Door Soup Kitchen (32 Commerce St., Waynesville), Haywood County Rescue Squad (P.O. Box 931, Waynesville), the Gideons International (P.O. Box 634, Waynesville) or First Baptist Church (P.O. Box 690, Waynesville). Garrett Funerals and Cremations of Waynesville is in charge of arrangements. An online guest registry may be signed at www.garrettfuneralsandcremations.com. My sincere sympathy to the Kelly family. My mom, Willie Mae loved you so much and talked about you all so much after I moved away.You will be in my prayers. I am so sorry to hear of J.D's passing. I just learned this Monday morning. I wish I had known in time so Mark and I could have been there with the family. You might best remember me as David Kelley's youngest daugher. Sorry to hear about your Dad's passing. Know that our thoughts and prayers are with you in your time of sorrow. So very sorry to here about your Dad's passing. I just heard of it today 5-6-12. My prayers are with you, your mom, Christine, and all of your family. God bless all of you. MRS. KELLY , I AM SO SORRY ABOUT HE LOST OF MR.KELLY, YOU BOTH WOULD ALWAYS TALK TO ME WHEN YOU WOULD SEE ME AT THE HOSPITAL,WORKING. STEWART ALWAYS THOUGHT A LOT OF YOU BOTH. NOW HIM AND STEWART CAN MEET AGAIN. I WOULD CAME TO THE FUNERAL, BUT I DIDN,T KNOW UNTIL LATE SATURDAY, IF I HAD KNOWN N TME I WOULD HAVE CAME. IF I CAN DO ANY THING FOR YOU PLEASE LET ME KNOW.CAROLYN GADDY 105 PREVOST STREET. Our prayers and thoughts are with you in this time of sadness. JD had such a steady, level-headed approach to life. His calmness and quiet confidence rubbed off on those around him, most of all Terry. He will be missed, but not forgotten. Our condolances to the Kelly family. Mr Kelly was a very special person. Life Stories provides friends and families a forum to post their favorite stories and memories of James Donaldson Kelley ensuring the precious experiences are never forgotten. Share joyful times, post a photo that captures the moments you cherish, and allow others to reply, relive and remember. J.D. had the best spirit, he was a head to toe smile. I never heard him ever say an ugly word. If you needed to be uplifted, all you had to do was stand close, it would rub off. My only regret is that even though we talked, I haven't seen him in years, he has always been in my heart. He was truly a friend, father figure, role model. I will miss him terribly. The heavens have just received a very special, glorious star. I am so sorry Allie and family for your loss. J.D. was a very special friend and I always look foward to camping when I knew he was going to be around. He was always the life of the party or in this case the campfire circle. I really understand your loss and if you need anything I'm here to listen anytime.